In #MittenTrip, Food, Southeast Michigan. 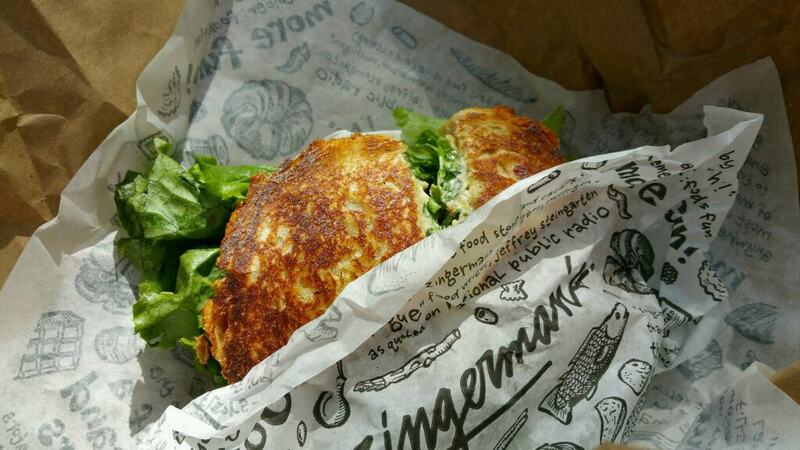 “What is Zingerman’s?” I would ask. “Oh, it’s a coffee shop,” says one person. “It’s an awesome deli!” says another Michigander. “It’s an American food restaurant right outside of downtown,” says a third. It actually is a community of eight businesses that all support each other. The second, logical step of preliminary research commenced, and I hit their website. It’s well-designed to showcase all of the separate cogs of a very big machine working together. There is a Roadhouse, a Deli, a Bakehouse, a Creamery, a Coffee Shop and roasters, an operational farm, a catering company, and tons of educational options for food-lovers. My first staff interaction with Zingerman’s was on the phone when we called ahead to order sandwiches for pick-up at the deli. Pro tip: Everyone should call ahead. It’s wayyyyy faster! The service was prompt, efficient and very warm; it makes a difference when you get good vibes from staff. When we came to the deli for pick-up, there was staff at the door directing and organizing new guests. This is totally necessary and absolutely appreciated. Because we had called ahead, we basically had a fast-pass to the cash registers, although it was hard not to stop and gawk at all of the products on our way. Zingerman’s candy bars, potato salad, salt and vinegar chips, brinery products and more lined the aisles. We finally got to the register, our food was quickly passed over to us, and we paid and exited. I will say that in comparison to West Michigan, these sandwiches were pricey. For two of us to have nosher (smaller) sandwiches and a bag of chips, it cost around $35. What we know now is that these sandwiches are shareable, so order accordingly. Dinner at Zingerman’s Roadhouse was more of the same friendly, knowledgeable staff. 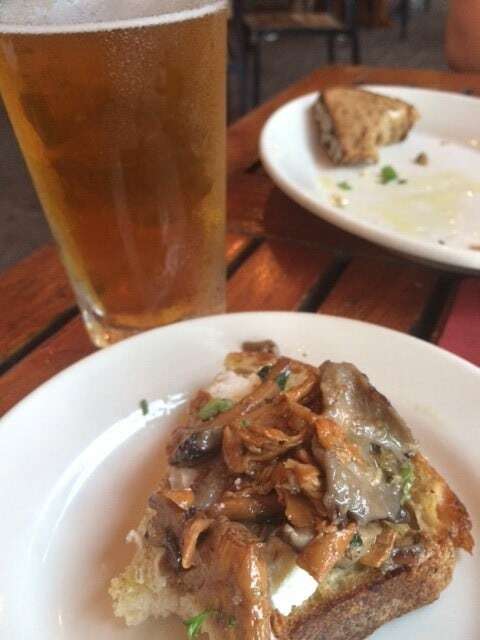 With a menu of ample size, it was nice to get recommendations from our server and chat with other waitstaff about the hustle and bustle of Ann Arbor’s Art Fair Weekend. Although we loved our chosen entrees, I contend that I could look around at the surrounding patio tables and pick three other things to get next time. At a recent bloggers meeting, I heard someone saying how “out” the term “farm-to-table” is in 2015. That being acknowledged, it’s a clear and useful term that illustrates how fresh Zingerman’s products are procured: Cornman Farms is one place that is sourcing milk, meat, and vegetables for a number of the businesses. This would be a great stop for a family touring Ann Arbor (it’s technically in Dexter) or for anyone looking for a rustically beautiful spot for an event, business or pleasure. Zingerman’s Roadhouse. Photo by Lyndsay Israel. It’s always a relief when these things actually live up to the hype! Our sandwiches were DELICIOUS. Side note, the second halves got soaked when we kayaked and we STILL ate them when we hit shore. Dinner on the Roadhouse patio was relaxing and fun. There are lots of options for food and drink and it was cool to know that the goat cheese bruschetta we were eating was from right up the road and so was the zucchini in my calabacitas! And the bread? Oh, the bread. We used almost all of the butter (that Zingerman’s churns) on their warm brown bread served when we sat down. That came back to bite us when we had zero room for dessert, but I wouldn’t trade it for anything! Coming out of #MittenTrip Ann Arbor, I would say the Zingerman’s hype is spot on! Check out at least one of their locations next time you’re in the area. Tagged Ann Arbor, mittentrip, zingerman's.